How often do you wash your hair? How do you make a wash n go last a week? I frequently get these types of questions in the comment section of my videos as well as in person. 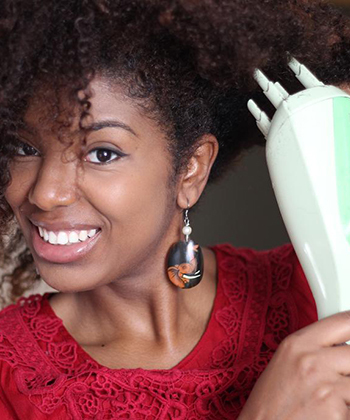 If you're a BUSY curly girl like me it's not ideal to spend hours multiple times a week to maintain a hairstyle. On average I wash n go once every five to seven days. The process takes about 1-2 hours depending on if it's time to deep condition and a little more if I diffuse instead of air dry. Take a look at my process from start to finish! This is my hair on Day 1. It's taken me awhile to find products that love my hair for a week-long wash n go, so don't be discouraged by the trial and error process! 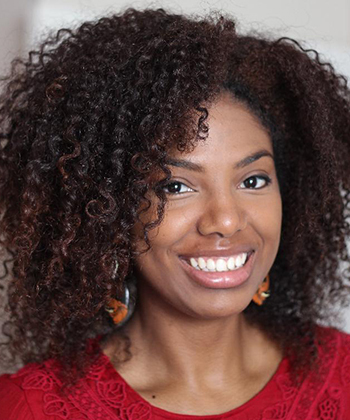 Here are the products and techniques that work for me and my Type 3C curls. I usually co-wash with a silicone-free conditioner like Tresemme Naturals or V05 Moisture Milks Conditioner. After rinsing I finger detangle with the same silicone-free conditioner and rinse very slightly. I add my leave-ins straight out of the shower to my four sections of hair. 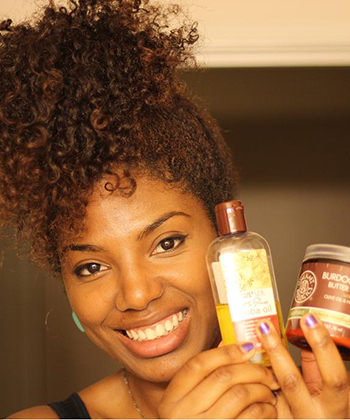 Right now I'm loving Qhemet Biologics Alma & Olive Heavy Cream or Original Moxie's Lux Locks. 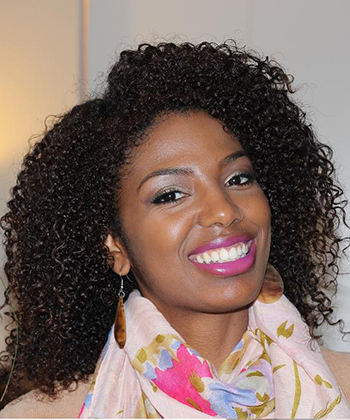 My hair likes a creamy leave-in that helps define my curls as well as moisturize. I apply my styler next (I like Olive-Oil Eco-Styler, but any alcohol-free gel or styler will do) and smooth it out section by section. I seal with jojoba oil or coconut oil next and move on to the next section until I'm done! I diffuse on high force with medium heat for about 5-10 minutes (if I can). If possible I air dry my hair until completely dry. I've noticed my curls are less frizzy and even slightly more defined and shiny when I air dry. But some wash days it's just not possible. When it's cold outside I diffuse until my hair is 80% if I must go outside. In this Day 1 picture my hair was diffused for only 5 minutes and air dried the rest of the way. My curls were poppin'! I pineapple my hair EVERY night to make sure my curls aren't flat or lifeless in the morning. Just a simple high ponytail using a loose ouchless scrunchie can make a world of a difference in extending the life of your style. Morning and nightly maintenance is crucial to maintaining this style. It's not difficult and doesn't require much time but it's definitely a requirement. 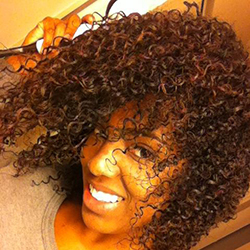 I use a quarter sized amount of a creamy moisturizer (water is the 1st ingredient) to put some life back into my curls. 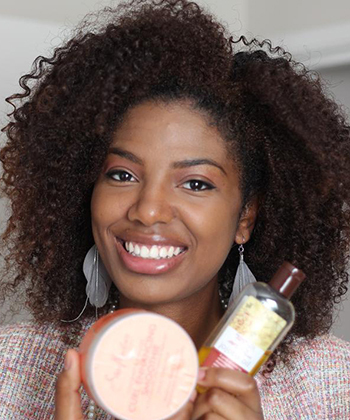 Patting my hair with product on my palms works great for me and doesn't disrupt my curls too much. I also feel my curls thanking me for the moisture. Another option is misting your hair with water too. For me, water is a little too drying. For morning and nightly maintenance I use Shea Moisture's Curl Enhancing Smoothie or Qhemet Biologics Burdock Root Butter Cream and seal with jojoba or coconut oil. Around Day 3, depending on the weather, my curls can get pretty stiff and need a little more moisture to revive its shape and bounce. I use the Q-Redew mid-week for about 1 minute in the morning. Like I mentioned misting or spraying my hair with water is a little too much moisture for my hair. The steam from the Q-Redew is always just what the hair doctor ordered for my stiff curls. This is my hair at the end of Day 4. I love how it grows with volume as the days go by. By day 5 my hair is usually at it's max frizz factor. To reduce frizz I make sure to maintain by sealing with an oil. I've grown to love some amount of frizz as it helps me achieve the big hair I love. 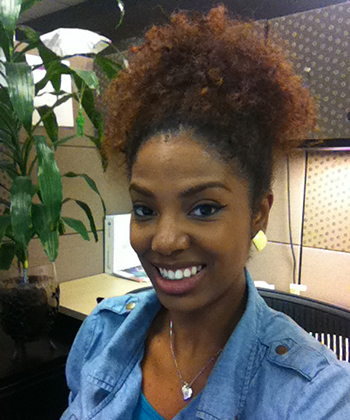 On this day I used Shea Moisture's Curl Enhancing Smoothie and jojoba oil to seal in the moisture for the day. High Pony! It's wash day for me! I try to style my hair in an updo if time permits. If not I put my curls into a pony tail. If I'm feeling saucy I'll tie my edges down with a satin scarf after applying a little water and Eco-Styler gel to them. Here's the process from start to finish using all the products I've mentioned. Take a look at my technique on how I stretch my wash n gos and let me know how long do your curl styles last? Do you pineapple? Style differently? Let me know!